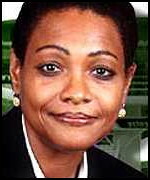 Attorney Donna Symmonds receives public apology from Barbados Free Press – sort of, but not really. Well folks, it looks like we can’t get a straight answer from Attorney Donna Symmonds or her client. Yup, Symmonds was in the mood to sue the heck out of poor old BFP until we started asking some very basic questions about whether her client had properly reported to the tax people. Alright, we’ll put this article back into the list and that will be that. Don’t know why it’s so difficult for some folks to just tell the truth straight up. It would be good if Bajans knew for certain whether the charges against the lawyer client were her carelessness or improper actions by government workers. Bajans await a straight answer from Attorney Donna Symmonds or her client. Weasel words from Attorney insider? Government tax authorities unfairly maligned by Attorney? This story is gaining legs and certainly has the interest of our readers who want to know if the Attorney-at-Law “client” who is the subject of our story was unfairly charged by Barbados tax authorities or, as is looking ever more possible – was responsible for her own troubles. At the center of the story is the question as to when “the client” who was charged with tax offenses (and who is an attorney at law herself) notified the Barbados tax authorities that she was no longer resident in Barbados. If she properly notified the tax authorities years ago in writing and the government fouled up, then Bajans deserve to know about this unreasonable harassment by government officials. But if the attorney at law “client” only notified the tax authorities after she was charged, and after ignoring years of tax demand letters, that means that the tax charges were fairly laid and that the attorney-at-law is hardly an innocent victim. We’ve been trying to discover the truth, but so far all we get is silence and anonymous weasel words left as comments by an obvious insider. The longer that Attorney at Law Donna Symmonds remains silent on this issue while screaming loudly about charges being dropped, the more it looks like the Attorney At Law “client” was charged due to her own negligence. “Folks would like to know whether the fault is the government’s or your client’s and it would only be ethical to let the public know. That’s only fair to the government workers. Attorney says Client’s Charges Dropped! The Nation failed to report that all charges were dropped. Why did Barbados lawyer Donna Symmonds publish a public letter on the internet instead of sending a private email? Bajans on stolen list of secret Swiss bank accounts? The HSBC Private Bank scandal. Swiss Regulator “symbolically” reprimands HSBC over data theft. We are again seeing tremendous interest in this Barbados Free Press article with thousands of hits coming from all over the world. It turns out that the Swiss financial regulator has just taken a piece out of the HSBC hide – well, at least made a “symbolic” reprimand according to the news. But it’s really all for show folks. Some of the laundered money came through Barbados, but no investigations or prosecutions will be done by Barbados. Too right! As the workweek winds down, Friday is usually a slower day at Barbados Free Press in terms of visitors. That didn’t seem to matter yesterday though when almost 5,000 Barbadians took the time to click upon and read this article fully – showing the tremendous interest that voters still have in knowing where their money went over the last 20 years. During the 2007 election campaign and continuing for the first 3 months after winning, the DLP and David Thompson promised to address the issue of BLP government corruption and offshore money transfers by BLP government officials and friends. That promise died about April of 2008 and became a total non-subject by 2009 as the DLP piggies at the trough decided that they had better not throw any stones while living in glass houses themselves. The high Bajan readership on this article shows that voters haven’t forgotten the issue of their tax dollars spirited away to offshore accounts. A little bit of HSBC information released before the next election could be an important event in Bajan politics, given what the mood of the public will be after a few more years of financial downturn and unemployment. Rogue employee exposes 80,000+ HSBC Private Bank clients. How many from Barbados? A list of 80,000+ foreign client Swiss bank accounts is in the hands of the French government – who are sharing the take with tax authorities in other countries. It appears that 99% of the offshore accounts are unreported to the clients’ home countries. In 2006, Herve Falciani, head of computer security at HSBC, started downloading (read “stealing”) the detailed data of 80,000 foreign clients of HSBC’s Private Bank in Geneva, Switzerland. These are serious accounts that take at least US$500,000 to open, but that’s the lowest. Apparently, President Obama has imposed tough new requirements on his officials and cabinet members: They must pay taxes. This onerous rule has already sidelined or slandered a number of candidates or appointees for his critical posts. Many wonder if such strictures are a wise move, but it’s hard to quarrel when their jobs are about spending trillions of taxpayer dollars – a cause that some of these people have not made a contribution toward. Times are tough everywhere, but nowhere are they tougher than in the wallet of the United States of America where taxpayers are now on the hook for a trillion dollar giveaway to corporations in what is euphemistically called “a bailout”. That money has to come from somewhere and one of the first messages sent out by President Obama is that all Americans and American businesses will pay their fair share of taxes. The Obama administration must, and will, stop the secret foreign economy conducted offshore by Americans who continue to live in the homeland but keep their assets and income hidden offshore. The second message of the Obama Presidency is that America intends to stop being the world’s policeman and better look after things at home. While the world breathes a sigh of relief that the American bully cop will be seen less, the other side of the coin is an increase in trade protectionism. As the USA withdraws into a “look after the homeland” mode, smaller countries that don’t matter a whole lot to the United States (like Barbados) will find their offshore financial industries under increasing scrutiny. 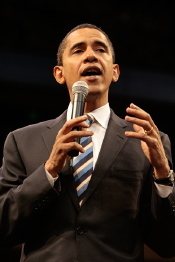 Like the vast majority of people in Barbados, we at BFP supported (at least moral support) Obama’s bid for President. But we also understood that Obama will be no special friend to foreign nations, at least not at the expense of the United States. As we wrote in several articles, Senator Obama was a fierce opponent of the offshore banking industry in the Caribbean and he even sponsored several pieces of legislation that were directly harmful to Barbados. So enjoy the moral victory and social progress represented by the election of a non-old-white-guy President, but hang on to your wallets friends because money is going to get tighter ’bout hey.